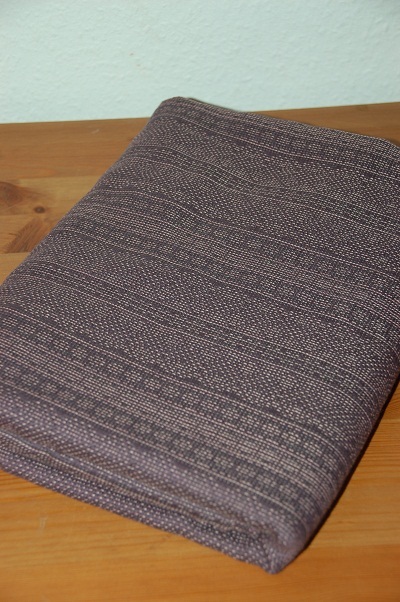 after cashmere silk ellipsen this new indio is the second tri-fiber wrap from didymos. 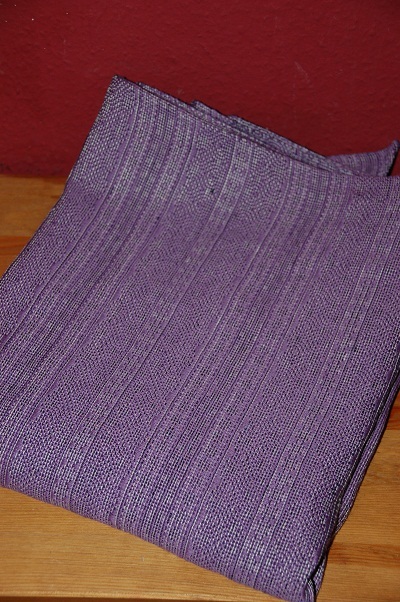 it was gone in a flash and only available through didymos and a handful of selected distributors. on the first look it is difficult to see the indio pattern. 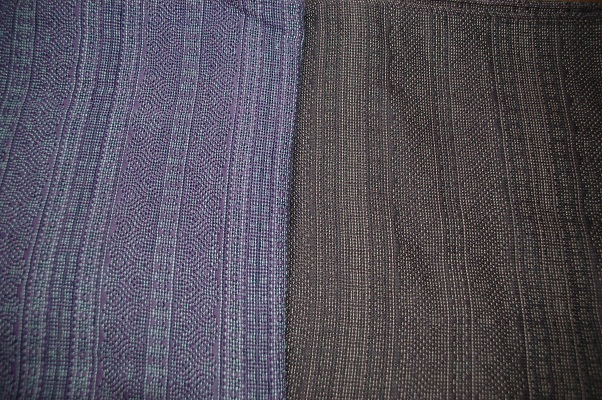 the warp is violet cotton, whereas the weft are alternating threads of white hemp and dark blue linen. 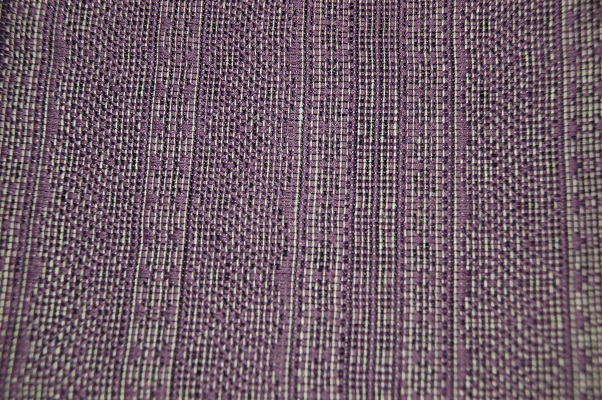 due to the changing color in the weft the indio diamonds now doesn’t look like diamonds, but are more onion shaped. it gives the wrap some kind of oriental touch, which is really very very nice. wrapping wise this is a medium wrap with a tendency to be thicker, but i think this is more of the feeling at the beginning. it is very dense and rough. but already much softer after the first wash and will get even better when it is broken in. i can easily wear my toddler for longer periods. this wrap hat go give or bounce and stays put. 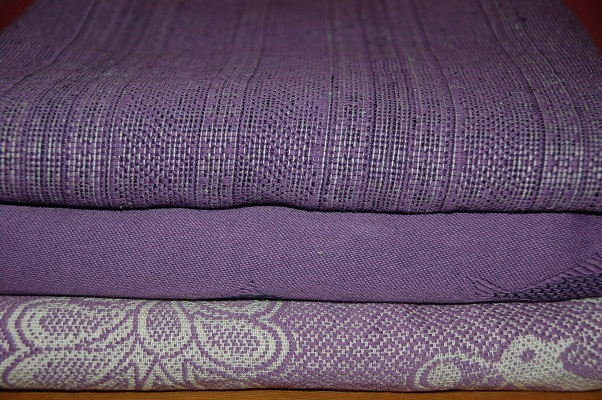 i don’t need to re-adjust it after some time wearing it, so please didymos, we need some more colourways (without any purple…).